Walking with Simon Lizotte back to the tournament hotel after his first round at the Konopiště Open, I asked if he would have predicted three Europeans to be on day two’s Open lead card. 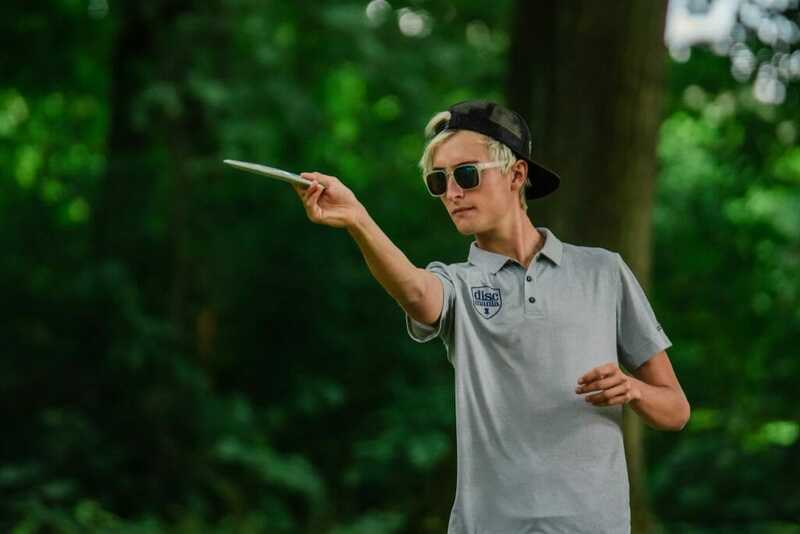 It shouldn’t (or, really, can’t) be overlooked, however, that the real headline of the day was that Eagle McMahon broke the course record of 15-under par 52, set last year and held jointly by McBeth and Wysocki, with a 16-under par 51. That new high mark on the Franz Ferdinand course comes in with a preliminary rating of 1081. McMahon will be the first to tee on the lead card tomorrow. Just behind him is Lizotte with a 14-under par 53. The Dane K.J. Nybo and Finn Seppo Paju round out the top four with their dual 12-under par 55s. Behind them is a logjam of players at 11-under par 56: McBeth, Avery Jenkins, Nate Sexton, Will Schusterick, and Väinö Mäkelä. McMahon described his tournament-leading, course-record breaking first round as going ‘pretty well.’ But it was clear recent events subdued his reaction to it somewhat. “There’s an overshadowing event that just happened…how a certain someone shot minus 18. So there was a lot to live up to out there, and unfortunately I came up short,” McMahon commented. Nybo’s fellow at 55, Paju, was ‘pretty satisfied’ with his work today, but did mention one thing he’d like to improve tomorrow. Whether that three-putt will come back to haunt Paju even more is still yet to be seen. But with a hungry and star-studded group lurking just behind, everyone on the lead card will need to keep up the stellar play or likely face an earlier tee time on day three. Speaking of that group just beyond the lead card, much like how Dave Feldberg and Nikko Locastro on the lead card for multiple rounds of the Great Lakes Open last week brought fans back six-odd years, Jenkins, and to a lesser extent Schusterick, should have a similar effect. Jenkins hasn’t been a mainstay on tour like he once was, but showed yet again this season that he can still compete at a high level. His strong opening round is reminiscent of his performance earlier this season where he finished eleventh at the San Francisco Open. 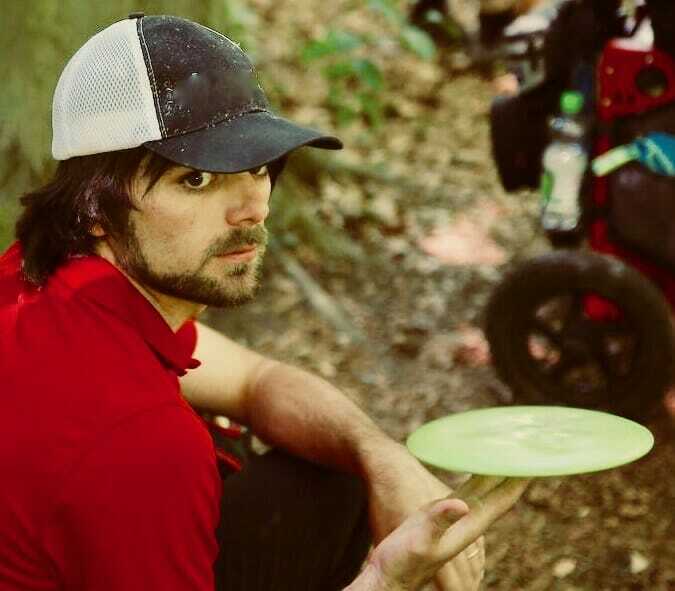 Schusterick made an impression just last weekend preparing for this first PDGA Major. He took the win at the Pärnu Open over McMahon, who arguably has been the best in the Open division this season. Schusterick is still working his way back from a nagging shoulder injury, and his recent play is a highwater mark since he publicly revealed the ailment late last season. Just a bit further down the leaderboard, Americans Devan Owens and Jeremy Koling are tied with Finnish pro Leo Piironen in tenth place at 10-under par 57. Both Owens and Koling have been inconsistent at best in their appearances on tour back in the states in recent months. But Owens’ game has come alive recently on this side of the pond after a fifth-place finish at the Tyyni and a second-place performance last weekend at the Skellefteå Open. And the 1037 rated opening round is significantly higher than any posted by Koling since the final round of the Beaver State Fling. With relatively clean rounds under their respective belts — both players featured just one bogey each in their final tallies — it seems a refresh in central Europe was all they needed to kickstart the second half of the season. Comments on "McMahon Shreds Setting Course Record At Konopiště Open"